New! 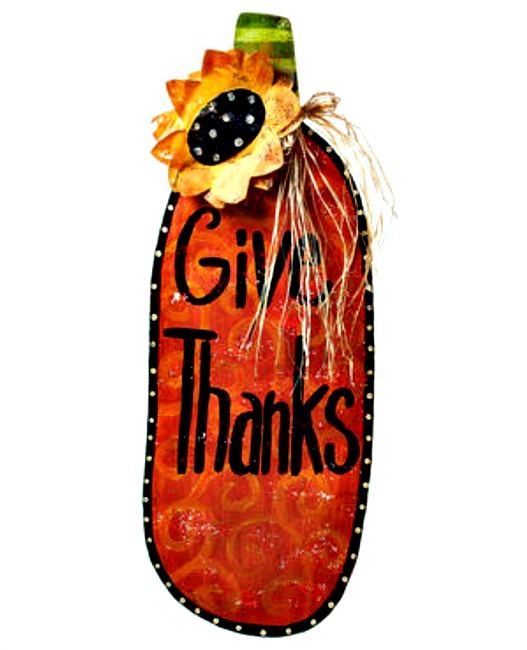 Elongated Give Thanks Pumpkin Door Hanger from Silvestri Screenings/Demdaco by Peri Woltjer. Measures 13"W x 36"H. Made of Aluminum Screen & Raffia.